250 recipes from 80 chefs. 178 pages. 4-color cover. 6" x 9". Lay flat binding. 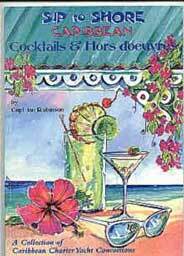 A snappy volume of cocktails and hors d'oeuvres recipes. The hors d'oeuvres are unique and creative. Drinks include alcoholic, non-alcoholic and diet. Plus, helpful hints for the discriminating host or hostess. A fun addition to the collection to make your sunsets sizzle. An outstanding dining experience requires both knowledge and planning. 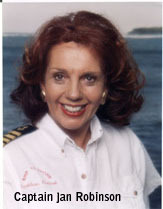 Sip to Shore provides the guidance and information needed to insure success in the first step - cocktails and Hors d'oeuvres. These two words carry special meaning. The word cocktail is derived from the eighteenth century slang term for a "docked tail", first applied to a horse of mixed bread and then to a nag on a race course. A combined allusion to the society in which drinks are popular and the notion of mixed breeding must have led to the word being applied to alcoholic recipes. The first cocktails originated in England at the height of the Victorian era. Many cocktails were being made by the end of the century and some of the names are still being used. Coolers, cobblers, cups, daisies, fixes, flips, juleps, nogs, punches, rickeys, sangarees, slings, and smashes all suggest the hilarious nature of those gentleman's origins of some of the mixes. The drinks are delicious and include alcoholic, non-alcoholic, and diet, plus helpful hints for the discriminatng host or hostess with such favorites as Bushwhacker, Pussers Pain Killer and Goombay Smash. An hors d'oeuvre is a delicacy served before a meal as an appetizer. It is unusual, extraordinary, and exciting so to stimulate enthusiam for what is to follow. Hors d'oeuvres are always eagerly anticipated and happily devoured. The recipes are fun and easy to prepare. They will brighten the moment, whether on land or sea, when the sun slips over the yardarm. Sip to Shore is a true collection of delicious award winning recipes from the Caribbean charter yacht chefs and captains, who have many years of experience in meeting the needs of discriminating guests. It is the fun addition to the Ship to Shore collection that will make your sunsets sizzle! Robinson and all the other boat chefs have interwoven their sea tales among delightfully simple recipes. The hints, humour, and cartoons, are simply delicious. The practical ingredients found to make these recipes are terrific. Some of the best hor d'oeuvres and drink recipes I have seen. Easy, elegant, and fun to make. Sip to Shore is a must for every boat, or household. Hors d'oeuvres are always a tough one. These recipes make my life easy - they're simple, creative, and definitely tasty. Without ice, blend, shake or stir: Pour into big glass filled with ice and grate fresh nutmeg on top. Preheat oven to 400 degrees Fahrenheit. Drain hearts of palm. Slice large pieces in halves or thirds lengthwise. Dip each piece in beaten egg, then in bread crumbs. Place in a small baking pan and pour melted butter over them. Bake 10 minutes at 400. To serve, place a layer of dark lettuce on a plate. Arrange hearts of Palm. Sprinkle with paprika and parsley.